Beautiful day out at the Old Post Office in downtown San Jose. Today, it was a small group and most of them first-timers. Great bunch of people, all drawing the surrounding scenes with a lot of enthusiasm and superb results. We started in front of the post office where we got a surprise visit by reporters and photographers from "La Nacion", one of Costa Ricas major newspapers. 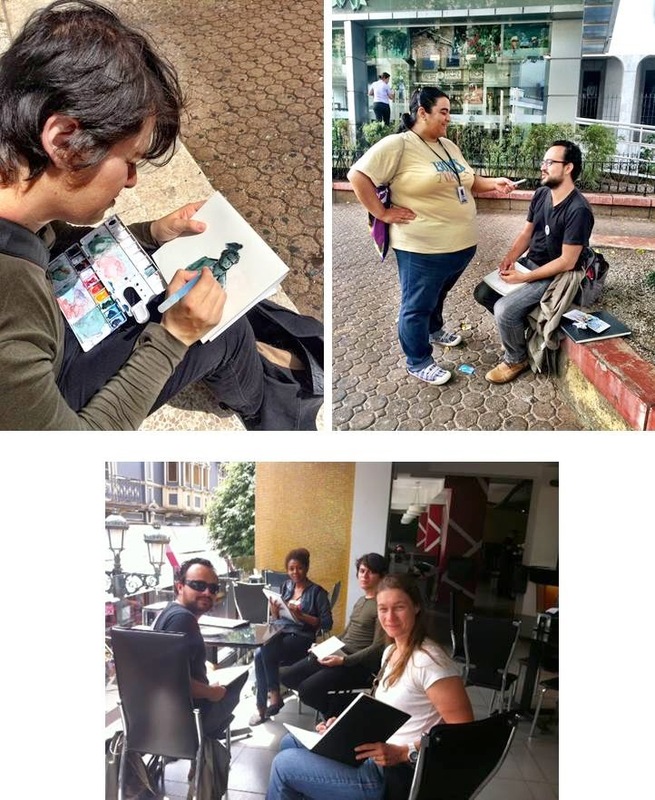 After the interview we marched down towards Banco Central and decided to continue sketching from the balcony of Q Cafe, above "El Tostador" coffee shop - excellent views down the streets and very challenging perspectives of close-by buildings. Around mid-day we had a "show and tell" and group picture - not, as planned down on the street, but up in the cafe. 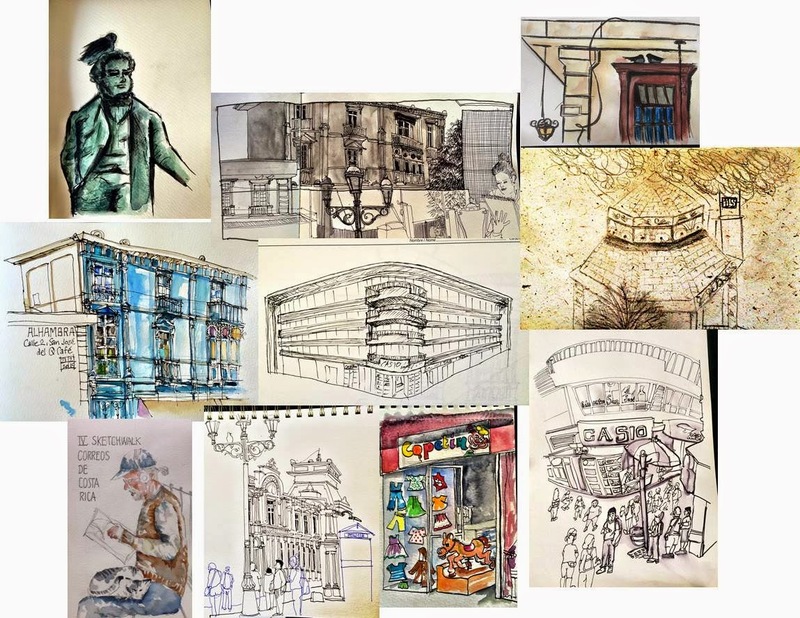 Thanks all for coming - hope to see you at the next sketchwalk! El cantón de Zarcero cumple 100 años y hoy viendo la nota pensamos en intregrar una sesión suya con talento local retratando nuestro parque. Favor contactarme y podemos coordinar esta actividad. Leo, buenos dias - por favor, nos podria contactar via correo electronico: uskcostarica@gmail.com con mas informaciones relacionadas a su evento (fecha etc.)? Excelente - nos vemos pronto! Super, Leonardo - hasta pronto! Qué evento - gente agradable, gran dibujo y buena cobertura de los medios! Felicitaciones. Hola todos - ahora tenemos un boton "seguir" / subscribe en esta pagina - para aquellos que quieren recibir noticias sobre las actividades planeadas. Hey que chiva esta muy interesante este grupo, tienen algun compilado de los sketches?